For most people the carbon footprint of their rental property isn’t the top priority when looking into next year. However, as of 1st April 2018, any rental property which doesn’t comply with the changes to the Energy Performance Certificate regulations could actually cost you money and your ability to let the property. As this deadline approaches we consider the main issues. The issues of EPCs have long been contentious issue within the property industry creating uncertainty among landlords and agents alike. Earlier this year the Dept. for Energy & Climate Change finally completed the 2018 EPC regulations, which set out the minimum level of energy efficiency for private rented property in England and Wales. 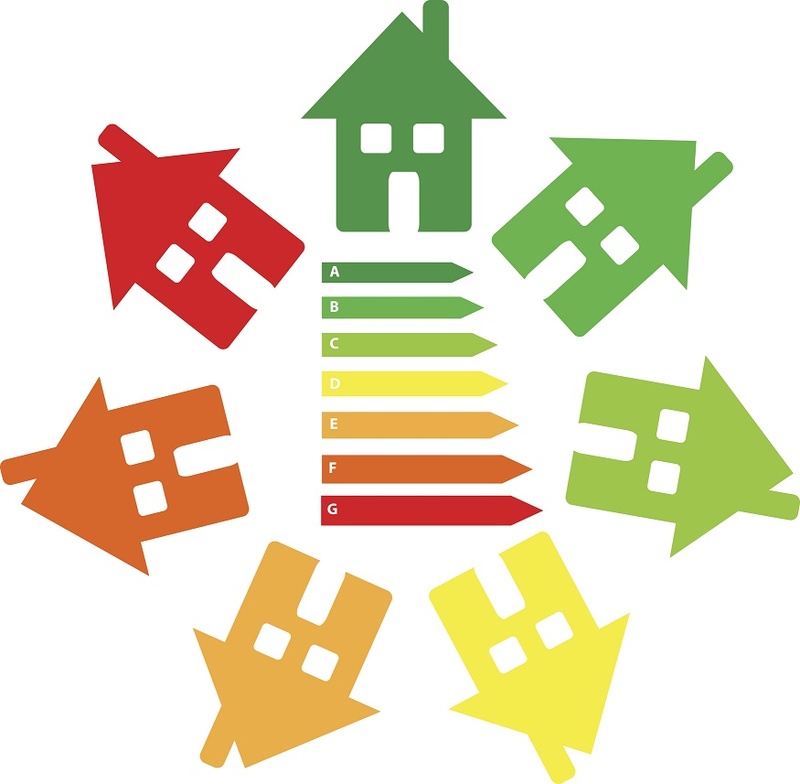 This means that as of 1 April 2018 it will be unlawful to let or lease a property that has an EPC rating lower than E.
These new EPC requirements apply to both domestic (from one-room flats to detached houses) and non-domestic properties including factories and offices. The changes to the regulations will be based on CO2 emissions for commercial property and on fuel costs for domestic dwellings. So what does this mean for Landlords? You could find it increasingly difficult to let a house/flat or renew a commercial lease when the EPC rating is below an E. Government data shows that between 2008 and 2015 35% of non-domestic buildings that went under an EPC survey achieved an E,F or G rating as did 26% of domestic properties surveyed within the same time frame. This suggests that a significant proportion of the UK rental market could be affected by these changes, unless changes are made to improve their EPC rating. As so many properties will need changes making by April next year to comply, this could well affect rental prices in the market. The upgrade costs to make sure properties comply with the regulations could be expensive, potentially forcing landlords to increase rent to cover those costs. The new regulations are also likely to have a significant effect on market value where poor performing properties will decrease in value due to their inability to let them without carrying out works. Enforcement of these regulations will fall to local Trading Standards Officers and will have powers to impose civil penalties determined by the property’s rateable value. If a let property is found to be in breach of the Regulations and a penalty is imposed, the lease between the landlord and the tenant remains valid and in force. Where the breach is for less than three months, the fine will be the equivalent of 10 per cent of the rateable value of commercial properties, subject to a minimum penalty of £5,000 and a maximum of £50,000 and £2,000 for residential properties. Where the breach is for more than three months, the fine will be the equivalent of 20 per cent of the rateable value for commercial properties subject to a minimum penalty of £10,000 and a maximum of £150,000 and £4,000 for residential properties. Penalties for a single offence may be cumulative, up to a maximum of £5,000. Further penalties may be awarded for non-compliance with the original penalty notice where a landlord continues to rent out a non-compliant property; however, penalties would be cumulative up to a maximum of £5,000. The landlord can be awarded a further penalty if they keep offending. If you’re a landlord and are worried about the upcoming changes, the first step is to talk to experts who can advise you on your situation. A local energy assessor will be able to offer you tailored expert advice and give you an EPC if you need one. Even if a property doesn’t meet the required standards, it doesn’t necessarily mean you’ll be faced with a large repair bill for energy efficiency upgrades as some properties will be exempt. Whatever your circumstance, there’s still time to prepare your property before the new changes take effect. If you’re still unsure, it is advised you receive an expert overview to make sure you are complying with the regulations, but with only a few months to go, it’s better to act sooner, rather than later. Previous PostThank you Fitzrovia!Next Post2017…OVER AND OUT!